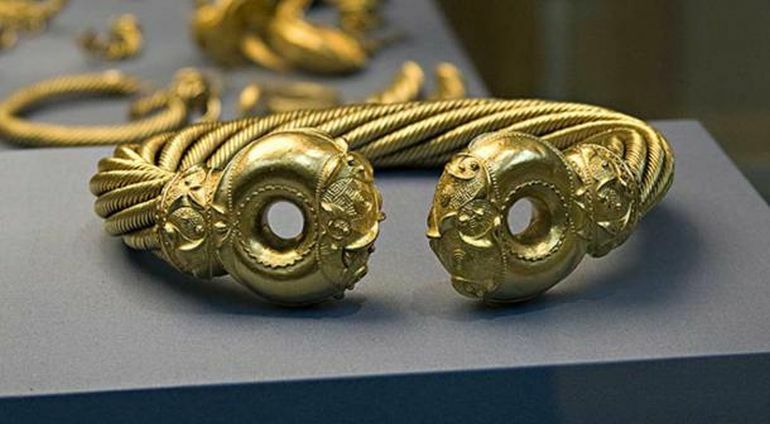 Celts and torcs have a long history, so much so that a few of their ritual-following ancient warriors favored such jewelry items over plain armor. But while the torcs were generally used as collars for necks, and in some cases as belts for waists, archaeologists are astounded by the girth of a recently discovered specimen that went beyond the size of men’s trousers. 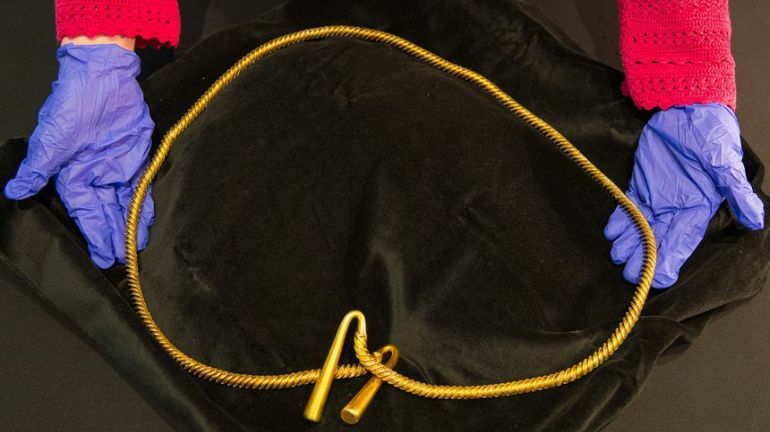 Originally found by a metal detectorist in a farm field in Cambridgeshire, this 3,000-year old humongous torc was made from a whopping 1 pound 10 ounces (730 grams) of almost solid gold. The site of the discovery is around 50 miles away from the famous peat-preserved Bronze Age village of Must Farm, in the historical region of East Anglia. Now the question naturally arises – why is this particular specimen big in its diameter? Well the primary hypothesis put forth by the experts is that the torc might have been worn by a pregnant woman. To that end, there is even the possibility that the entire artifact was loaned by the tribe, so as to be worn like some protective charm by the woman in her late pregnancy. 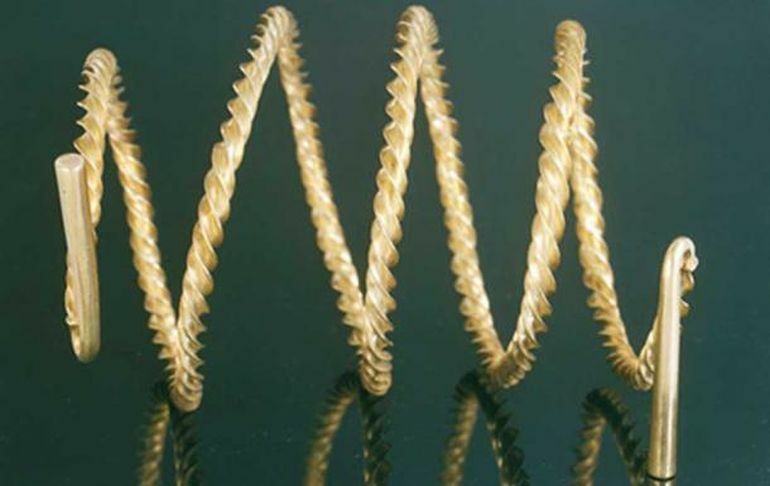 As for the notion of the item being a burial good, when it comes to historical context, torcs were not selectively not used as burial artifacts in the British Isles. This rather alludes to how the jewelry was associated with life, more than death. Interestingly enough, a similar type of torc was found long ago in 1844, from the Grunty Fen site, which is pretty near to Cambridgeshire (pictured above). But as opposed to the ‘traditional’ bearing, that particular specimen was found in its coiled form (currently housed at the archaeology museum of Cambridge University). In any case, reverting to the humongous torc in question here, some researchers have also put forth an alternate conjecture – and it pertains to how the torc was presented as ritualistic ornament for a specially chosen sacrificial animal, like a hefty goat or sheep. The torc is still being valued, but it is hoped Ely Museum will acquire it, with the reward shared between finder and landowner. The slightly shorter and lighter Corrard torc, found in Northern Ireland, was valued at up to £150,000 three years ago.